Have you ever wanted a garden that is low maintenance? 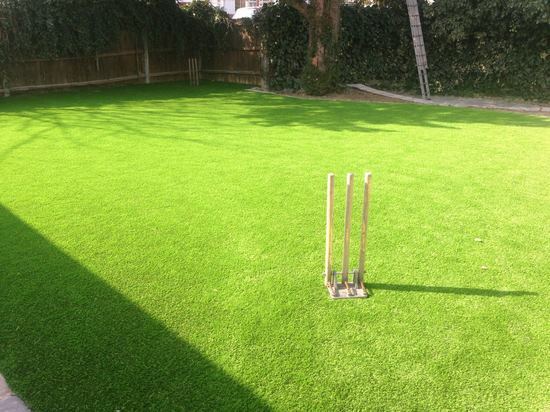 With global warming going the way it is and the British weather being more unpredictable, artificial grass is becoming a great alternative for real grass. There are many reasons why more and more people are choosing artificial grass for their gardens. The main reasons would be that it is low maintenance, very cost effective and is environmentally friendly. It can withstand significantly more use than natural grass and can therefore be used much more frequently without looking worn. Artificial grass is extremely low maintenance, so the time spent caring for your garden can be a thing of the past. Your artificial grass will never need mowing, so there will be less noise pollution and lower lawn mower emissions. It will never need watering, so no more worrying about hosepipe bans. If you did water your garden on a regular basis but didn’t like doing it because you are on a water metre, then artificial grass will certainly benefit you. You will no longer need to use pesticides, weed killers or fertilizers which is great for the environment. As artificial grass is permeable, any rain water or liquids will just drain through the turf surface, leaving no slippery surfaces or muddy puddles. It can create a great playing area for your children, especially if you have a trampoline or a playhouse. Artificial Grass is pet friendly so if you have any pets that regularly go out in the garden then they are going to love this just as much as you do. It can be easily cleaned with a mild household detergent if there are any pet accidents and light brushing occasionally can keep your garden looking neat and tidy. 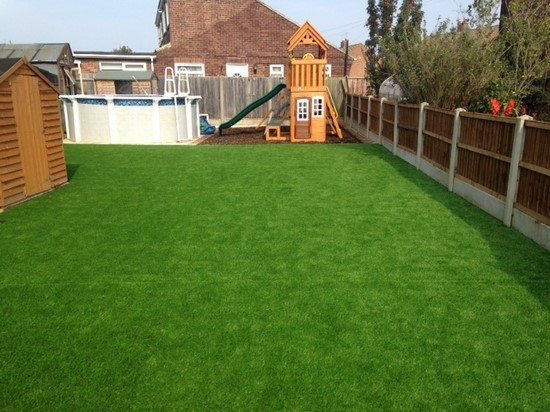 Artificial grass can also be used in nurseries, schools and play areas and would be an ideal surrounding for caravans, swimming pools and summerhouses. It can be laid over hard surfaces such as concrete, tarmac, decking, pathways, patios and even rooftops. It really is the perfect solution to having a lovely garden, so once you have artificial grass fitted, you can enjoy the many benefits for years to come. If you are interested in transforming your garden, please feel free to contact us. See some of our most recent artificial grass projects. 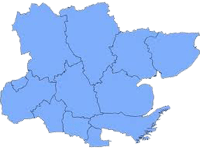 For a free, no obligation quotation for artificial grass in Essex, please click here to complete an enquiry form.